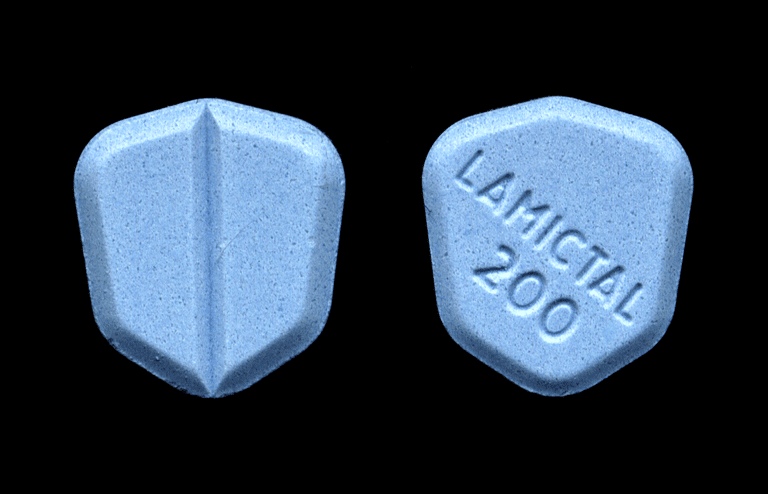 Lamictal (lamotrigine) is used as a mood stabilizer for people with bipolar disorder and as an anticonvulsant for people with epilepsy. When used to treat bipolar disorder, the drug helps reduce the cycling of moods characterized by bouts of depression alternating with bouts of mania. Starting treatment with Lamictal can be confusing since there are not only different formulations but different dosing instructions based on what other drugs you may be taking. While your doctor is always the best person to answer treatment-related questions, it does help to have a basic understanding of how Lamictal is prescribed and taken. When used for bipolar disorder, Lamictal is prescribed as a maintenance drug to control mood swings after acute symptoms have been treated and are in remission. It is prescribed specifically to treat bipolar I disorder (the more severe form of the disease) and only used in people 18 and over. Lamictal tablets can be taken with or without water or food. Lamictal can cause side effects, many of which are transient and will resolve once your body adapts to the medication. Most hypersensitivity reactions occur two to eight weeks after starting treatment, although some cases have been known to develop six months later. As such, the appearance of any rash should be taken seriously and seen s a matter of urgency. In addition to stopping Lamictal, pain medications, topical steroids, and other drugs may be needed to treat the hypersensitivity rash. Severe cases required hospitalizations. Once a hypersensitivity reaction has occurred, no matter how mild, Lamictal treatment should never be restarted. To avoid the risk of a hypersensitivity reaction, Lamictal is usually started at a lower dose and gradually increased over a period of six to seven weeks. To this end, starter kits are available for both Lamictal and Lamictal ODT which provide instructions on how and when to increase dosages. The instructions vary based on whether you are taking Lamictal alone or with other drugs. The starter kit is recommended whether you are starting Lamictal for the first time or restarting therapy. The two drugs commonly prescribed with Lamictal to treat bipolar disorder are sodium valproate (marketed under the brand names Depakote, Depakene, and others) and Tegretol (carbamazepine). Oral contraceptives containing estrogen may affect the concentration of Lamictal in your blood and require a dose adjustment. Always advise your doctor if you are taking (or have stopped taking) an estrogen-containing oral contraceptive. Because of Lamictal's effects on the central nervous system, you will need to be careful about drinking alcohol or taking medications such as muscle relaxants, antihistamines, cold medications, or sedatives as Lamictal may amplify their psychoactive side effects. The bottom line is to always advise your doctor about any prescription or non-prescription drugs (including recreational drugs) you may be taking without exception. A dose adjustment may be needed during pregnancy as blood serum concentrations of Lamictal can often decrease by as much as 30 percent. In terms of safety, Lamictal is classified as a class C drug, meaning that animals studies have demonstrated a risk of birth defects but studies in humans are lacking. As such, you need to work your doctor to weigh the benefits and consequences of taking Lamictal while pregnancy or breastfeeding. Clark, C.; Klein, A.; Perel, J.; Helsel, J.; and K. Wisner. Lamotrigine Dosing for Pregnant Patients with Bipolar Disorder. Amer J Psychiatry. 2013;170(11):1240-7. DOI: 10.1176/appi.ajp.2013.13010006. Schoretsanitis, G.; Haen, E.; Grunder, G. et al. Pharmacokinetic Drug-Drug Interactions of Mood Stabilizers and Risperidone in Patients Under Combined Treatment. J Clinical Psychopharmacol. 2016;36(6):554-61. U.S. Food and Drug Administration. Highlights of Prescribing Information: Lamictal (Lamotrigine) Tablets. Silver Spring, Maryland; updated May 2009. Can Lamictal (Lamotrigine) Cause or Treat Anxiety?